Geraldine Easter runs the London programming office for the Nine Network Australia. Geraldine began her career in international television heading up the development and distribution wing of major news agency Visnews (now Reuters) where she developed and distributed international documentary series. 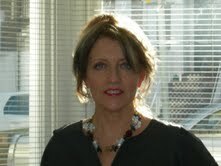 Geraldine then became director of independent film and public relations company, Interaction, before setting up Filmworks in 1987, originally as an independent production company. Filmworks has produced many internationally funded and award winning documentary and animation series along with hundreds of hours of in depth news features. Geraldine continues to monitor and analyses the UK & European programme and production sector for the Nine Network and is responsible for all programming and co-productions coming out of the UK and Europe.